A versatile mid-range tiller rental with enough power and weight to work through turf and tough plots of ground. 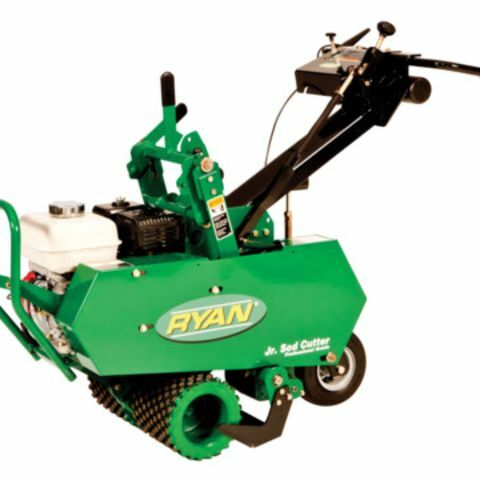 Rental tillers in the 8 HP class have the power to rip through rocky soil, hardpan clay or an established layer of turf. Powered by an 8 HP engine, and weighing in at 275 pounds, with the tines in the rear, there's little need for you to press down to get soil traction -- the weight and power of the machine do all the work. Also, 8 HP tillers commonly step up from belt to gear drive, which translates to greater power and stability than smaller tillers, especially in hard-pan stony soils. If you're working dispersed areas, this tiller has a transport speed of 6.8 MPH, which allows you to get from one work area to another, and 10" pneumatic wheels with an aggressive tread easily manage uneven ground. Plus, if you're working dispersed areas, this tiller has a transport speed of 6.8 MPH, which allows you to get from one work area to another, and 10" pneumatic wheels with an aggressive tread easily manage uneven ground. If you're clearing out an area that's never been tilled, 8 HP rental tillers are a good choice. The only drawback for rental rototillers in the 8 HP class is that they simply aren't designed for use in small or tight areas. Can I get it in my car? No, this definitely won't squeeze into your trunk! Plan on transporting this tiller in a trailer. Buy some fresh gasoline both to support the work you're doing, and top off the tank before returning the tiller to the rental yard. Take a good walk-through of your work area, and remove anything that remotely seems like it might cause an equipment or safety problem. A tiller of this power can battle at objects like stones or sticks, but you'll be the worse for wear. Objects such as wire, rope or cables can both trip you up or get tangled in the tines and interrupt your tilling tine as you straighten the mess. Do yourself a favor, and clear the area before you begin. If you're tilling grass or weeds, mow the area and, if you're feeling energetic, rake it as well -- tilling organic material into the soil can beneficial, but long grass and debris in the tines is a nuisance and slows you down. Inspect the area you'll be working for any wire, cables, rope or debris that might get tangled in the tines. 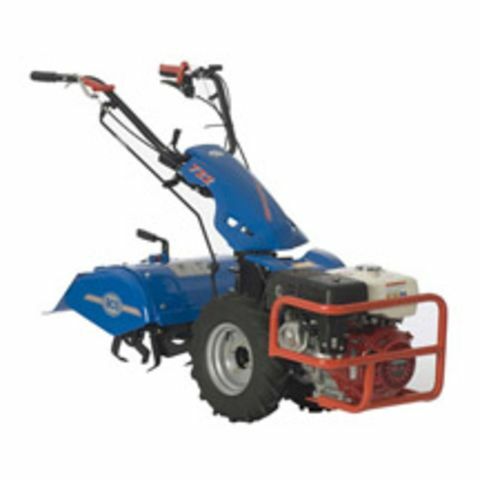 DO: If you're renting this tiller to transform a patch of lawn into a vegetable garden, before you rent a rototiller, rent a sod-cutter to remove turf, grass roots and grass seeds that can come back to haunt your veggie garden as unwanted weeds. DON'T: There's a fallacy that rototilling will kill existing vegetation. But with woody vines such as blackberries or ivy -- or long-rooted weeds like dandelions -- you're merely chopping the roots up into small pieces that will re-grow. Unless you want to battle vines and weeds in your newly tilled area, take the time to remove, rather than till in, woody vines and the like.